Thank you for choosing to download our Casino software. To play you first need to download the free software. Click on the language you wish to play in on the download button. When the File Download appears select Save program to disk and click Ok. When the Save As appears, choose to Save the file (it is recommended to keep the file name as it is) on your Desktop and click the Save button. 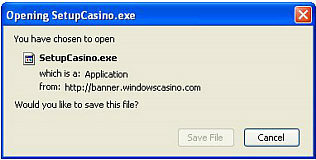 Once the download is complete, double click the casino setup icon on your desktop to start installation. 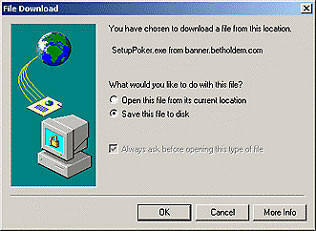 During the installation, a Casino icon is placed on your desktop for easier access to the Casino. Double-click it to start the Casino and enjoy!